This is a new and exciting PANTO take on one of the most magical and beloved of all fairy stories, cartoons and now a new motion movie. In our version the heroine Belle follows her dreams and adventures into a magical new world in which lives the Beast who must learn to love to break a spell that is upon him. What’s better than one panto?.......Four Pantos! “Snow white and the Babes in the Wood” is a new and exciting, original concept from the brain of Thomas O’Leary. If you are looking for a show with lots of parts for all your budding stars young and old, then you have come to the right place. Join Snow White and Horace the Huntsman as they venture through many fairy stories including, Rapunzel, Hansel and Gretel and Red Riding Hood. Narrated by the Brothers Grimm this show is pure fairy tale magic! Robinson Crusoe is the ultimate seafaring adventure for your group. With two magnificent dames and a host of other crazy characters this is a fast moving swashbuckling adventure that is sure to impress. The Pied Piper is a unique and exciting new panto take on a classic German tale. If you are looking for something new and exciting this is the script for you. With a brilliant range of comedy characters and some evil rats this panto gives the perfect opportunity for a large chorus of children to get involved as the town's children and rats. Puss in Boots is a fun adventure with lots of great characters and can have up to three dames. It also has two Scottish baddies, a scary giant and a fast talking comedy cat. High speed fun for all the family! 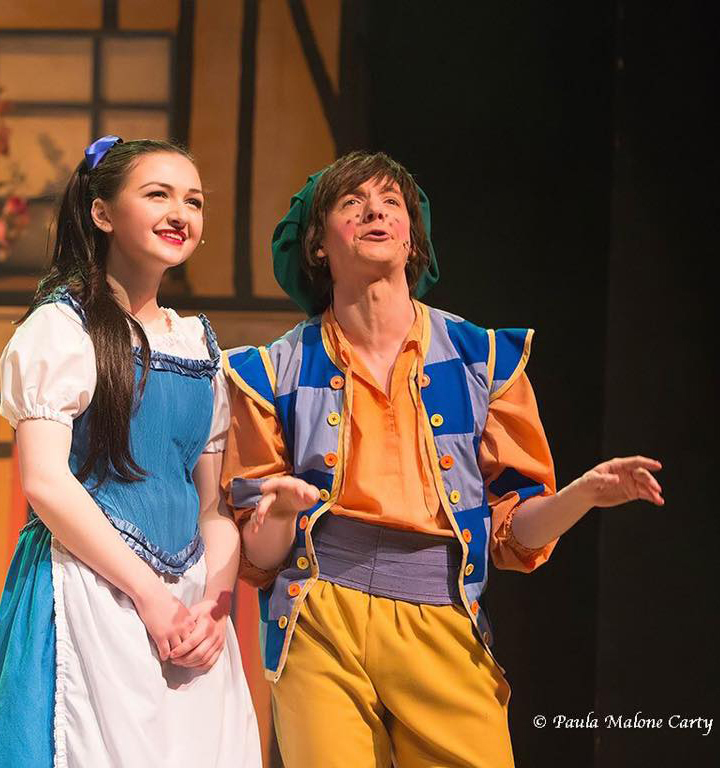 Peter Pan is a magical mix of the traditional story with all your important Panto elements. There is a small amount of flying and lots of fun characters, including a mixed band of pirates, a talking dog and some wonderful parts for the younger members of any group. Mother Goose is a lively new take on one of the greatest classic pantos of all time, as the hilarious dame Mother Goose searches for riches and eternal youth. The tale of the goose that lays the golden eggs is a brilliant fun romp with a crazy band of characters of all ages.